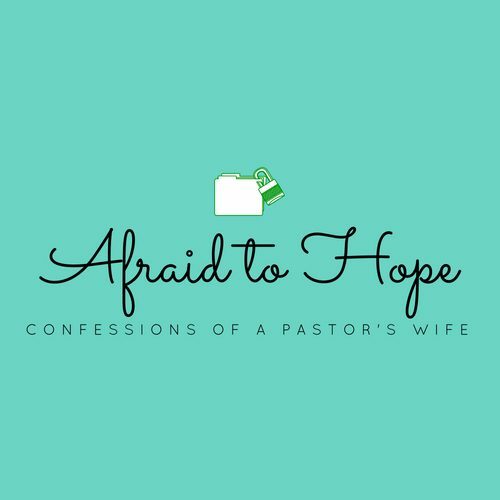 Anyone who knows me knows that I have made far more than 10 mistakes in my years as a pastor’s wife. I will continue to make the same and new ones as I trudge forward. One of the overarching mistakes that clergy have made for decades and even centuries, is to allow those they serve to believe they are some kind of spiritual hybrid. This simply is not the case. I can’t force anyone around me to step off of those man made pedestals. The best I can do is to step off my own. Here are 10 reasons why I don’t have a pedestal as a pastor’s wife. Warning, this post is long. As you can imagine, there isn’t really a Twitter version for a post like this. Boundaries are hard to set but when we don’t, we end up angry finger pointers who fail to take the blame for the problem we’ve allowed to make us miserable. I have spent a lot of years in a full on rage over the fact that people don’t offer the same kind of consideration for me that I do for them. This is one of Satan’s most powerful tactics of control over our outlook on life and those around us. You see, the truth is, how I feel is totally my responsibility. Yes, people are inconsiderate and they will trample you, but if you find yourself trampled it’s because you chose not to close the gate that keeps them at bay. Boundaries have to be both set and kept in order for any of us to function effectively in all areas of life. My mistake is that I have spent many years living without even a hint of a boundary line around me. I’m not earning my value, though for years I have behaved as though I am. God loves me! I am his child. When he looks at me, he sees all the righteousness of Christ. What a beautifully wonderful and painfully impossible thing to fully grasp. One day we will see it in all of its unveiled glory. For now it’s something we have to keep at the forefront of our minds while we go through all the versatile moments of life. It’s hard and I have failed at this more times than I can count. I wait like a child for the praise of those around me. For their reminders that I am good and pleasing. People don’t offer those with any amount of regularity and for every praise they give you, there are hundreds of critiques. We can’t go to those around us to confirm that we are deeply loved and exceedingly valuable. Our worth is in Jesus and him alone. I have often made the mistake of looking everywhere but him for any faint echo of value. There are so many things on the table of ministry as I have worked alongside my husband. Things he carries that are easy for me to pick up but their availability does not make them mine to own. God has gifted my husband in unique ways for the work to which He has called him. I am also gifted but in different ways. I have never wished for my husband to “protect and shield” me from the life he lives. To me, that’s asinine. What kind of helpmate would I be if I insisted upon being protected from the exact work I stand beside him in. That being said, the mistake that I have made is to become so deeply entrenched in all of it that my hands are full to the point of heaping with things I can’t fix or even speak to. I can pray over him, I can advise him, and I can hold his hands above his head when he is tiered. What I cannot do is carry everything he bears in my hands so that they are not free to offer him help when he needs it. In the past I have mistakenly tried to pick all of it up and carry it and that has never been the right way to be a valuable partner to him. I have found myself, on more than one occasion, face down in hysteria not knowing how to deal with what has been entrusted to my husband. Most church families can be summed up in a word. Some are awful, some are needy, some are wonderful, some beautiful, and some are just down right mean. We served at a church many years ago that didn’t have the budget for a janitor. The task of cleaning fell to me. I really didn’t mind most of the time except that someone, or a group of someones, took it upon themselves to express their dislike for me by continually pooping in the urinals. I’m no urinal expert but the first thing I learned about them, aside from how gross they are, is that they are plumbed for one thing, liquid. This blatant action coupled with a million other things like it made me realize one tragic thing that I confessed before the Lord in a heap, “I do not love these people!” Without that, all the things that I was doing were meaningless. If I was going to scoop excrement out of the urinals on a bi-weekly basis, it had to have meaning. I remember hearing the Lord say, “You will learn to love them.” After my rage settled and my temper tantrums died down I allowed him to walk me past my failure to love. I can truly say he taught me to love some of the most unlovable people I have ever known by reminding me of his infinitely pricier sacrifice to make me his. Losing faith isn’t something that I have necessarily struggled with. I have always believed that God is who he says he is and I trust that he knows what he’s doing. I have, however, been afraid to hope that any of his plans have good things in them for me. This brings about a soul kind of sickness that strips away the beauty of following Jesus and creates in its place a bitter obligatory obedience that lacks joy. God remains faithful even in these moments of my wandering confusion. He has been so kind to remind me that his fatherly love longs to give good gifts to all of his children and I am not excluded from that. Hope is a big deal. After all, it’s part of the big 3. Faith, hope and love but without hope the other two grow pretty dark. Bitterness is born out of entitlement. As much as I hate to say it, I started this ministry journey many years ago with some pretty big entitlement issues. I expected more respect, more glamour, less struggle, a lot more people in my corner, fairness, and a whole lot less mess. I learned real fast that none of those things are served on a silver platter and none of those things are intrinsic to the call. Before I truly “learned” anything though, I walked through a period of extreme bitterness. Bitterness robs you of everything all the way down to your ability to feel. It makes you cold and angry and it leaves you looking like everything but Jesus. Thankfulness is an amazing antidote for so many things that sicken our souls. I learned this by failing to be thankful in all circumstances. One of our biggest disappointments in ministry and marriage hit me so hard that I was stunned for months on end. I made it through the motions but barely. All my energy was being soaked up by keeping us afloat. I spent none of that energy on gratitude. I remember the freedom in the moment when I was able to lift my tear stained face upward and away from all the pain that I had been staring at for months and say the two words I so desperately needed to mean, Thank you! Thankfulness has been a forgotten necessity in my past efforts as a pastor’s wife and it is vital to my own vitality as one who ministers. One of the hardest parts about being a pastor’s wife is the loneliness. It’s deeper than anything I could have ever imagined. You see, everyone has an opinion and acts accordingly, but almost no one is informed. I am well informed but I am not to act on opinion. I have thoughts and insecurities and wounds just like everyone around me, but even so I am to protect each individual in the church body. Being a wounded servant is not an easy task. It requires humbly washing the feet of those who kicked you in the teeth just moments before. It requires yielding to leadership that isn’t always pure and leaving the fight in God’s hands. I have, in years past, made the grave mistake of seeking confidence in those who were not equipped to bear the ugly and the hard and the injustice that is deeply embedded in the body we call church. Wherever you go, church will be marred with the darkness of humanity until the day that God fully redeems his people. I am equipped to understand that in a way that many people are not. My mistake has been to pile my burdens on shoulders that have not been equipped to stand up under that weight. This is one of the most haunting mistakes I have made. The truth will set you free, but not usually before it makes you bleed. When we’re working with people, we are faced with delivering the truth daily. Knowing how to deliver it is not something to be taken lightly but it’s also something that is not to be ignored. John Piper says “In God’s character, love and truth are friends.” He’s not wrong! Adrian Rogers once said “It is better to tell the truth that injures and then heals, than to tell a lie that comforts and then kills.” Both of these great men bring to light two sides of truth, both of which I have failed in. Truth and love cannot be separated. They don’t work when they are. Love brings truth and truth must be given in love. If we fail to offer the truth in love it can’t be digested. If we fail to offer the truth for the sake of love, we offer a comfort that brings death. I have failed on many occasions to be a truth teller and on other occasions I have not wielded such a powerful thing properly. Learning the balance is tough. Someone told me the other day, “You are a kind and merciful hard a** that’s also a bit on the w(b)itchy side.” (Yes, people cuss in church…all the time). I laughed and then I cried a little and then I thought to myself, “I’m not sure this is what I want written on my tomb stone one day but perhaps it’s evidence that I am learning from past mistakes to balance truth and love). I’m not really sure. I’ll let you be the judge on that one. We are all meant to trust only in one name, the name of the Lord our God. After all he owns the cattle on a thousand hills. He is lacking in nothing and he is rich in everything. Somehow, his is also the easiest voice to stray from. When things start to spiral out of control, the first place I am tempted to seek assurance is from whoever sits on the next wrung of power above me. I have trusted so deeply in the chariots and horses around me that when they have failed me it has been such a devastating blow. The darkness that followed is indescribable. It created for me a blackness so dark that nothing could be seen. I had no idea which way was up and the betrayal I felt left me begging God to take me in the night. In those dark places there was never not the presence of God around me though fully recognizing what that nagging presence was has come easier in hindsight than it did in the moment. He never left me, though the chariots and horses gave no regard at all for where I had fallen. The mistake I made to look for hope and rescue in the wrong places nearly cost me my life, but the Lord my God sang over me and he found me when I did not wish to be found. Though I suppose found is a bit misleading as I never spent even a moment lost from his sight. My darkness was never dark to him.